This is my favorite on the soundtrack. My husband surprised me on July 16. 2009 with a ticket to see this concert. (of course with him) We were living in Illinois at this time and I had never been to Wrigley Field, so this was a first for me. I had seen both Elton John and Billy Joel in concert separately and for me to see them dueling pianos with each other was definitely a great memory for me. And I was one of the voices singing. When my husband woke up he said, "I never liked Yanni but while I was sleeping I had thoughts of different charters to but in my book, I like that he was an inspiration to me today." So now when he is writing he listen to Yanni. I found this list of cities and their attractions and It depends—are you looking for career, or performance opportunities? Maybe you are simply looking to take piano lessons with a Great teacher. Whatever your reason, there are nine cities that are at the top of the list when it comes to playing piano. Read on to find out what makes each city unique. The Northwest—a gray place that loves to pick itself up with live music. Many incredible bands got their start in Portland, such as The Decemberists, The Dandy Warhols, and Everclear. Plus, there are tons of great music festivals throughout the year, including one of the largest waterfront blues festivals in the country, and a lengthy list of the best music venues and concert halls to check out. Whether you’re looking for an open mic night or other musicians to jam with, it’s easy to find musical groups and performers looking for keyboardists or piano players to join in. Portland’s Northwest counterpart, Seattle, is well-known as the grunge capital of the U.S.—but it also boasts a bustling indie rock scene, home to record labels such as Sub Pop and Barsuk Records, as well as a growing underground hip-hop community. You can also find inspiration at one of the many jazz clubs, connect with other piano players via Meetup groups, and learn about music history at the iconic Experience Music Projectmuseum. When you’re ready to take on the keys yourself, there are piano instructorswaiting to teach you in just about every neighborhood! San Francisco is known for its counterculture scene, particularly in regard to the rock music of the 60s and 70s—like Jefferson Airplane and the Grateful Dead. Now, the music scene is eclectic as ever, hosting everything from metal shows to world-renowned DJs to classical music at the San Francisco Symphony. With such a strong music scene, there’s no shortage of opportunities for playing piano at gigs or events, even finding a qualified piano teacher to learn from. You might be saying, “what?” at this point. Ohio? Cincinnati? For those interested in a strong education in piano, the University of Cincinnati has several programs for playing piano professionally. It also offers a strong music preparatory program for budding classical fans. A favorite summer course is the Art of Piano, a nationally-known program that helps students work toward piano playing excellence. New Orleans is steeped in music, history and fun. Its deep roots include jazz, blues, soul, bluegrass, and ragtime. You’re hard-pressed to find any nook or cranny in the city that doesn’t celebrate music and musicians! You can find street musicians playing all kinds of instruments, well-known performers gracing the stages at the many music venues, and professionals available to teach you how to play in practically every style you’re interested in. If you’ve ever watched the TV show Nashville, you know about the heavy country influence in this city. However, Nashville also boasts a vibrant scene for jazz, Christian pop and rock, and gospel music. Nashville has over 300 recording studios within 25 miles of the city, approximately 130 music publishers, more than 120 live music venues, and around 80 record labels. No wonder its official nickname is The Music City! Want to play piano professionally? Berklee College of Music is one of the best music schools in the country, and is an excellent place to connect with other like-minded performers and composers, as well as learn about the business side of the industry. The Boston Conservatory is another great option, offering undergraduate and graduate degrees in music, dance, and theater. Younger students can also take advantage of the many summer intensive programs to improve their skills. Bottom line, Boston has options for any type of piano playing interest! It’s hard to find a city list involving music that doesn’t mention New York! The Big Apple pretty much has it all—Broadway, off-Broadway, Juilliard, performers looking for accompanists, and bands looking for new members all across town—it’s a world of music that operates 24/7. Artists, musicians, and actors flock to this land of inspiration and creativity. The list of careers and opportunities to play piano is practically endless. There are concert pianists, accompanists for events, studio musicians, touring musicians, keyboardists, dueling piano players, teachers, professors, and many more possible paths to take. And that doesn’t even take into account those who are involved in degree programs, private lessons, or those who simply enjoy playing piano at home as a hobby. The chance to play piano presents itself everywhere—look around the next time you’re walking by a ballet class or attending church. Although these are some of the top cities for musicians, every town, city, and state is likely to have wonderful ways to play regularly if the piano is your calling. Is it too Difficult to Learn to Play the Piano in Your 50's? One thing is clear at the outset: you are never too old to learn to play the piano. However, as an older beginner, you can expect to encounter a few extra challenges, like fingers that might not move as quickly as you would like, or that don’t quite reach the right keys because they need to be stretched through regular practice. The biggest challenge of all may be sharpening your hand-to-eye coordination. These abilities typically come more easily to younger students. But with practice, they will come nonetheless and you’ll find they have benefits beyond piano playing. You will need to practice at least 20 minutes every day. As you do, remember that you are older and your hands are older too. Because of this, you will likely find it takes a while to get your fingers to always cooperate. If you’re in your 50's or older, you are not trying to become a concert pianist. You’re learning because you love listening to piano music and you have always wanted to learn to play the piano for personal enjoyment. Perhaps you want to play Christmas songs and ”Auld Lang Syne” during the holidays, or “Happy Birthday” at birthday parties. Every goal and dream you ever had as an aspiring piano player is worth the time and effort that are required to learn to play the most amazing instrument on the planet! Whether you work with a teacher, use YouTube tutorials, or teach yourself with books, you have a lot of work ahead of you. So give it all you’ve got and you can be sure you will get out of it whatever you put into it. Be true to yourself and become the pianist you want to be for yourself and nobody else. Having the heart and determination to learn to play the piano in your later years, you can take pride in still being able to set – and achieve – positive goals that will change your life for the better. And who knows? You just might end up being a positive example and an inspiration to others who are thinking about making positive changes in their own lives, whatever their age! Most of all, remember to stay focused and positive. YOU CAN DO IT! Lynn Rae knows from personal experience that it’s never too late to follow your dreams. She was in her late 30's when she decided to learn to play the piano. As I was sitting on the piano being proud, a little girl came over to me and she picks me up and turns me upside down, looks at my bottom then she touches the shade and puts fingerprints all over my shade and body. A bigger boy comes into the room and takes me away from the little girl and he tells her that "this lamp is not a toy and she is not allowed to touch it." I was put back on the piano and the little girl left the room. The boy got a cloth and wiped all the fingerprints off of me then he left the room. I heard a bell ring then the woman and a tall skinny boy came into the piano room. 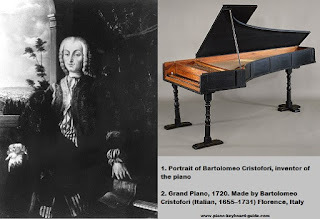 The boy sits on the piano bench in front of the piano and the woman sits in a chair next to the piano. The tall skinny boy calls the woman by name, "Ms Jane I've been practicing everyday" and the woman calls the boy Bobby and Ms Jane says "you have earned all your music points", I thought, I know there names! Bobby notices the piano lamp and says to Ms Jane "you got a new piano lamp, its beautiful! I love it! the light sure is brighter than the old lamp". Ms Jane said "yes, Bobby, the old lamp went to piano lamp heaven, this new lamp comes from The House of Troy all the way from connecticut". The piano lamp got excited and thought, Bye gosh I think my name must be TROY! Bobby took out his sheet music and put them on the piano, he straighten up his body place his hands perfectly on the keyboard and he started pushing the keys down with his fingers of his right hand, one key at a time. His fingers were moving up and down the keyboard then he started placing his fingers in patterns of three and four on different keys at the same time and now he is using both hands. What amazing sounds and tones came from this piano. The music that was being played was so soothing, I was falling asleep then the music stopped. Bobby gathered his sheet music,stood up and told "Ms Jane that he would see her next week at the same time." Ms Jane smiled and told Bobby that "remember you will be starting your new music for the piano recital next week". Ms Jane gathered her note book then turned off the piano lamp and left the piano room. Troy felt a little lonely, nobody's in the room and with his light turned off it was dark. Then Troy thought to himself, this is my new home and I like it. All of the sudden I came to life. I looked around and I saw a man with a cloth in his hand and he was rubbing my shade then he started to rub my body and my base and the whole time he is whistling a song. The man smiled at me, checked his teeth in my shade and said "PERFECT!" I was pick up off the table and put in a box then crumpled paper was placed all around me, the top was put on the box and it became very dark. As my eyes adjusted I cold see slevers of lights coming into the box. The box that I was in started moving, it stopped and I was placed on something very noisey that moved fast then I was falling. Something caught me and the next thing I knew I was flying then caught again and put down somewhere. I heard a sound like metal on metal scraping each other, a motor started up and I started moving, this time the ride was very bumpy with a lots of stopping and starting. I was in the moving vehicle for days, I would hear people talking, laughing, yelling then there would be silence. Finally I heard the metal on metal scraping sound again. People were talking then the box that I was in was lifted up and whoever had me handed me to someone else and that person was a woman and she seemed very happy to get the box. The woman started opening the box, the papers were removed and I was lifted out of the box. This woman was smiling, she looked at the man who brought me and she said "thank you very much for driving 2000 miles to bring this lamp tp me I'm so very pleased", she started cleaning the paper dust off me with a cloth and I could see myself start shining. The woman placed me on a piano and plugged my cord into the wall, she turned a switch and a bright light shined from me. The woman smiled and clapped her hand with joy and I was a proud Piano Lamp sitting on top of her piano. 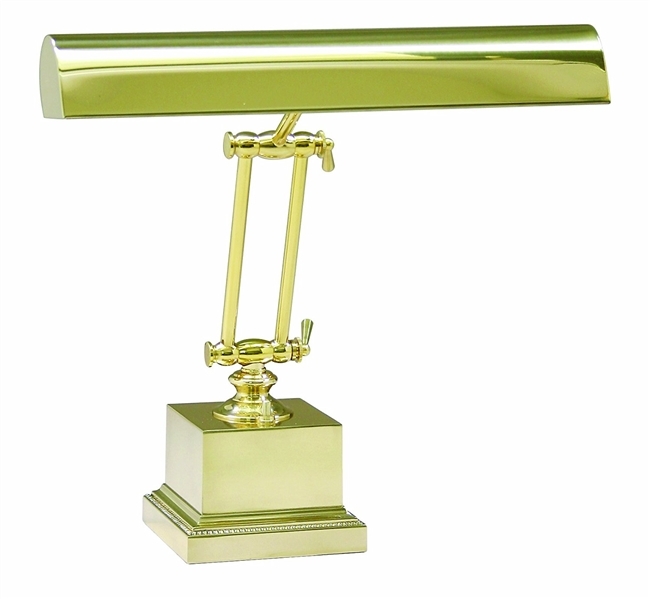 House of Troy Portable Piano/Desk lamp create a stunning presence on your piano and accents the rooms decor.